The Avengers Main Theme goes there because of course it goes there. I don’t have to explain myself. For the average person, attending the Baftas means hours of queuing in the cold London weather. It is a tough and dedicated process that makes people question their existence over the course of the day. But in the end, it is worth it. 4:00 I am so tired. 5:15 It’s still nightime. I am still tired, and I haven’t had breakfast. I’m starting to regret that for the next 14 hours I will be standing out in the cold, open air. I need hot chocolate. And a nap. 6:05 We are queuing at the Theatre Royal in Covent Garden, and I would say we have about 500 people in front of us. Some of them seem to have spent the night here, and there is a weird lady wearing a tiger onesie. I am starting to think she had a good idea because we are wearing normal jeans and in 20 minutes we are not able to feel our feet anymore. It won’t be long, though: the doors to get the wristbands open at 7 am. 7:00 BAFTA lied to my face. To our faces, to 1,000 people’s faces. Someone just said that they are not giving away the wristbands until 8 am, and we also found out that we have to go to a different door first to have a number written on our hand. Terrible organisation. 8:00 The doors are still closed, but at least we got our numbers, which are for nothing more than to have an idea of how many people are queuing. The wait is becoming a bit of a pain. Is it worth it? We might not even get front row at the red carpet, and we are cold and tired. 8:05 Leila and I are developing killer instincts thanks to the group in front of us. These hours of waiting have allowed us to unwillingly hear about everybody’s lives, but I am sure I have learned about everything that has happened to these people since they were born until last night (they saw King Lear). It feels like, for some reason, we are back in high school. 8:15 The doors are open! This should go quickly, it is only giving away wristbands. 9:00 We are still here. Why are we still here? The numbness has spread to my thighs. I would say that I am this close to having Leila carrying me, but I have the feeling she is going through exactly the same. 9:50 We finally made it to the door, and we got our wristbands: we are numbers 554 and 555. Apparently, they only had one person delivering them, and it wasn’t until we were three minutes away from the door that they decided to bring in another person to deliver them. Not cool, Bafta, not cool. 10:00 Finally, it’s time for breakfast. Of the three nearest Starbucks, we decide to go to the one next to LSE, since the rest of the group is going to the other two. I have never been so happy in my life to be drinking hot chocolate, and that is something that already makes me very happy on a daily basis. Then, I come to realise this is probably the worst Starbucks we have been to (and we have been to quite a lot of them). 10:25 I proceed to have a nap. 11:30 And we are back to queuing! Even with our numbers, we have to stay here waiting. A man arrives and starts dividing us into sections according to our numbers. If the first queue was like high school, this one is beginning to look a lot like kindergarten. I don’t know what time it is anymore, I have lost track of time. 13:00 Here we are at the red carpet. Finally! And we have been lucky enough to get front row. We are not going anywhere, whatever happens. A crazy woman whose main goal today is meeting Bradley Cooper is right behind us with her daughter. There will be blood because we are not moving. Ever. The cold wait begins. Meanwhile, the people from E! start rehearsing, acting like big shots. I honestly could not care less about them. 18:15 After hours of waiting, and what seemed like days, someone finally has arrived, and it is no other than Christoph Waltz! As expected, everybody starts screaming like this is the end of the world or worse. 18:30 Juliet Stevenson, Ray Winstone and Steve McQueen arrive at the same time. 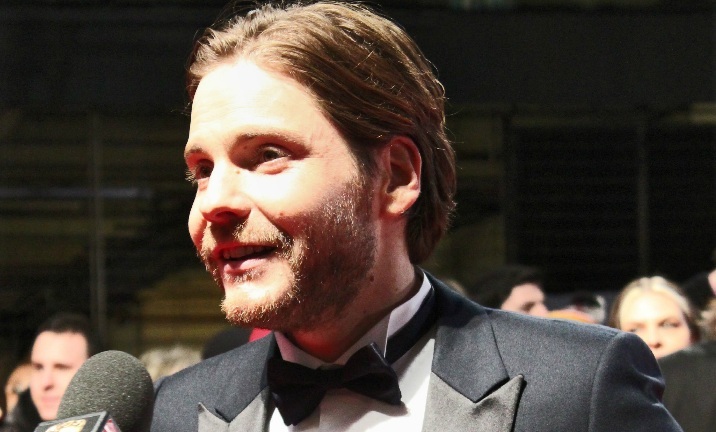 18:40 Barkhad Abdi arrives, and begins getting interviewed right in front of us, but I can’t pay any attention to him because Daniel Brühl has arrived at the same time, so that is all I care about right now. Within two minutes, all my screams prove worthless, and my chances of getting an autograph and a photo of Brühl fade away. 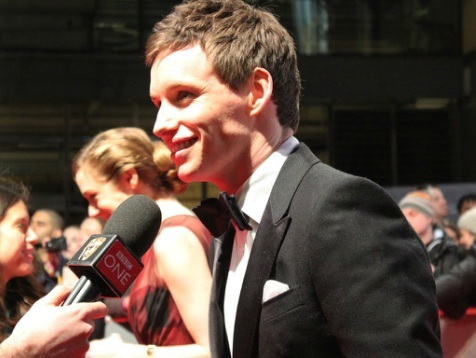 I stop caring about everything, even though Eddie Redmayne is standing in front of us. 18:45 I start recovering my happiness when I get Gwendoline Christie’s signature. Lupita Nyong’o, Chiwetel Ejiofor and Alfonso Cuarón pass by, and it’s impossible to reach them. Leonardio DiCaprio is next, and if I had thought that the crowd couldn’t be crazier, I was wrong. The yelling and the chants when Leo arrives are insane, and I start going deaf. We can’t get to him, but I see Lara Pulver from Sherlock, and I decide to call her, since everyone is so focused on DiCaprio. And of course, she comes to us to take photos. 19:00 I am beginning to forget the Brühl fiasco because Tom Hanks has approached us and signed an autograph! He even thanked me for it. Tom Hanks: loved by everyone since 1984. 19:15 Stars are arriving more often, and within ten minutes we see Hollywood mogul Harvey Weinstein (who willingly poses for us), Emma Thompson and a red beard with Michael Fassbender attached to it. After them, Bradley Cooper shows up, and Crazy Woman behind us loses it. Luckily for us and not for her, Cooper comes to us and he takes a photo with me. Crazy Woman hates us now, but I am way too happy to care. I have a photo, she doesn’t. Better luck next time. 19:20 New batch of celebrities: Naomi Harris (who also takes a photo with me), Oprah Winfrey and the two most stunning actresses in this country – Dame Helen Mirren and Dame Judi Dench. 19:30 The official list of attendees had Benedict Cumberbatch in it, but he hasn’t arrived yet. Our guess is that he will be the last one to show up. For now, the biggest stars get to the red carpet: Brad Pitt and Angelina Jolie, who were unexpected, as we had been told that they were already inside the Royal Opera House. Everybody is trying to get them, and in the midst of the craziness, I miss Christian Bale, and I will never forgive myself for that. At least Pitt and Jolie come to us, and I get their autographs as well. The Brühl failure is almost forgotten – almost. 19:35 Where in the world is Cumberbatch? Prince William just walked past us, and the red carpet looks like it’s over. 19:40 That’s it. It is over. Cumberbatch didn’t show up, I didn’t meet Daniel Brühl, but I have a photo of me with Cooper, so all’s well that ends well. Also, I can’t feel my legs anymore and we have been up for 15 hours, so it’s time to go home and sleep. I will learn the winners in the newspaper when I wake up. If you made it this far, congratulations! People don’t read this much anymore. Disclaimer: I had a great time, but I don’t want to attend one of these things as a fan, ever again. People get A-level crazy and I’m pretty sure most of them would kill anyone. I don’t want to take that risk, thank you.